After Friday's murderous point-blank shooting attack on patrons (and staff) at a busy, central Tel Aviv drinking place on Friday afternoon [see our posts of Friday afternoon and Saturday night], the manhunt for Nashat Melhem continued all day today (Sunday). We happened to visit north Tel Aviv's Ibn Gabirol precinct this afternoon, and saw something we are accustomed to seeing regularly in Jerusalem, but rarely outside it: heavily armed rapid-response police riding in pairs on fast motor bikes. Ynet says security forces are patrolling the city in large numbers, "focusing on north Tel Aviv, where Melhem was last seen and where he is believed to still be hiding since the attack on Friday. They are still waiting for the terrorist to make a mistake, or for a "golden tip" that would lead them to him." There's concern the fugitive gunman will launch another attack: "Because of that, the Tel Aviv municipality decided to increase security across the city, particularly around education institutions, including Tel Aviv University. Despite that, many parents chose not to send their children to school. According to the municipality, in the north of the city only about 50 percent of the students came to school..."
Two men murdered in Friday's attack, Alon Bakal and Shimon Ruimi, were buried today. Thousands attended the two funerals in Carmiel and Ofakim. There remain about ten individuals who are still being treated for their injuries. A third victim has still not yet been definitively connected to the Friday terror attack, but tragically is as dead as the other two. He is Amin Shaban, a taxi driver and an Israeli Muslim Arab murdered in north Tel Aviv on Friday afternoon about an hour after the Dizengoff shootings. Two hundred of his family and friends, including his three widows and 11 children, gathered in Lod this afternoon to lay him to rest. 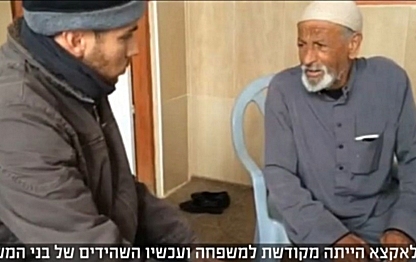 Ynet quotes family members saying they still do not know whether his murder is connected to the Dizengoff attack. "There are a lot of rumors and the family is not being updated. There is still an attempt to see if the background is criminal, and that's bizarre because there's no chance". Around 4 this afternoon (Sunday) in Jerusalem's Armon Hanatziv ("Government House") precinct, a Palestinian Arab knife man launched a stabbing attack on a civilian waiting at a bus stop on Barazani Street. He pulled out his knife and managed to stab but failed (because the weapon became bent out of shape) to penetrate the skin of his intended victim, a person he, of course, did not know. He then fled in the direction of nearby Sur Baher, an Arab community. A Jerusalem Post report says security forces "launched a manhunt shortly after initial distress calls and apprehended a suspect who fits the description given by eyewitnesses". He was arrested. At about 2:00 this afternoon, a female soldier was struck and wounded in a sniper-fire shooting attack at a security checkpoint close to the Tomb of the Patriarchs in Hebron. A search was conducted by Israeli security forces of the area. Haaretz says the shooter is believed to have fired from one of the adjoining Palestinian Arab residences: "A 20-year-old female Israeli soldier was moderately wounded... She was evacuated to Shaare Zedek Medical Center, Jerusalem. Security forces are combing the area... Magen David Adom paramedic Hanoch Zalinger Siffer said... "She was shot in the lower body, and we provided medical treatment while evacuating her to the hospital", which we understand was Shaarei Zedek Medical Center in Jerusalem. Indictments were announced this morning for several Jewish males - some of them minors - accused of involvement in the firebombing of a residence in the Arab village of Duma ["31-Jul-15: In the wake of a lethal arson attack"]. This disturbing story is going to be with us for some time to come. 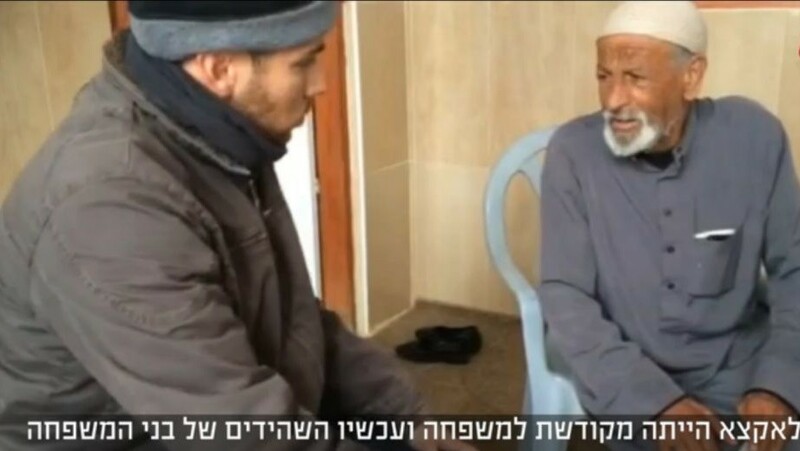 For now, here is what Hussein Dawabsha, an elderly member of the clan whose daughter, son-in-law and grandson died in the fire on July 31, 2015, reportedly said in an interview today: "There is no law nor justice in Israel. It’s one big show... The Israeli court system, the State of Israel is a dark country. They will probably decide to put them in prison for several years and then release them. Instead of killing them like they killed my boy and my grandson... Those who burned my family should themselves be burned... Only an intifada will avenge the death of the Dawabsha family. They should continue with more attacks, having faith in Allah. Only in this way we will achieve our rights." We say that putting terrorists into prison and then releasing them a short time later is indeed a serious issue and a heavy, almost insurmountable, challenge to justice in this country. We suspect Grandfather Dawabsha is unaware that by far the majority of those walking free - like the more-than-a-thousand convicted terrorists, many of them murderers of Jewish Israelis, who were set loose in the Shalit Deal in 2011 - were, of course, Palestinian Arabs. And most of them have sickeningly murderous views similar to his. Grandfather Dawabsha's ugly threats contrast greatly with the messages issued in his name half a year ago in the immediate aftermath of the Duma village deaths. Here's what he is reported to have said in a Times of Israel interview published August 2, 2015 [here]: He had been a construction worker who helped build Chaim Sheba Medical Center, the vast Tel Aviv hospital where doctors are today working to save the life of his four-year-old grandson Ahmad. "My friends are Jews. I worked here, and helped build the buildings at the Sheba Medical Center where my relatives are now hospitalized... We want to live. Please join our prayer for their recovery — Jews and Arabs — so that my grandson will be the last victim of the terror war... We are simple people, who pursue and seek peace,.. We don’t want terror on either side, and we condemn it." For reasons which ought to be obvious, there's no reason to be surprised. A shooting attack in the Har Hevron area around 6 this evening has resulted in injuries to an Israeli male. Times of Israel says he is an IDF soldier; his injuries are believed to be non-life-threatening. No word on the shooter. Further details to come. Saturday night, shots were fired at vehicles traveling the Tunnel Road that connects Jerusalem with the Gush Etzion communities to its south, passing through and underneath hills on the south and east of Bethlehem. The section of Route 60 running to, through and from the tunnel was closed to traffic for some hours while security personnel sought the shooter, effectively isolating thousdands of households in Efrat, Alon Shvut and other sizable communities in the Gush Etzion area. Ynet says the sole victim of the shooting is a Palestinian Arab driver, whose injuries are not life-threatening. The shooter has not yet been apprehended. Terrorism is very dangerous for over all peace of the world.Every day we come across terrorism related news in Arab News Update.I wish all nations stand up and stop the terrorism. We share your hopes, of course. Thank you for sharing them. Being against terror means standing for humanity and honoring human life. In that, we - along with you - seem to belong to a shrinking percentage of humanity. The work of educating people to think differently is long, and so far we are going backwards, not forwards. Until governments accept the argument that terrorism can be defined, and must be defined (the United Nations does not agree), and once defined must be outlawed, our shared struggle is likely to remain mission impossible.